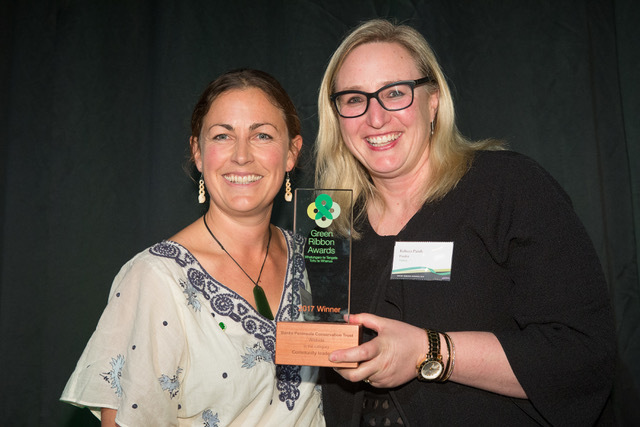 A community’s love and action to protect its special location has seen the Banks Peninsula Conservation Trust’s ‘Wildside’ project named the winner of the 2017 Green Ribbon Award in Community Leadership. Presented at a Parliamentary function co-hosted by Environment Minister Dr Nick Smith and Conservation Minister Maggie Barry, the award recognises the work performed by an entire community over a couple of decades. 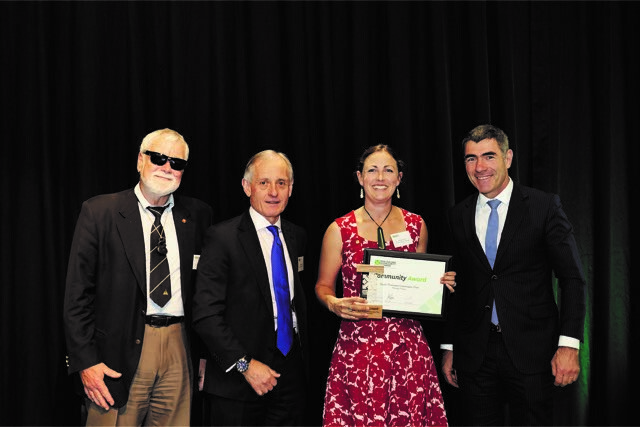 Maree Burnett, general manager of the Banks Peninsula Conservation Trust, says the award is national recognition for the trust and a testament to the efforts of the dedicated Wildside community and landowners. “It is recognition of our collective efforts to protect and preserve our unique Banks Peninsula environment.” Marie Haley, co-ordinator for Wildside says the award “recognises not leadership of a community, but a community of leaders.” “We are extremely proud of the years of hard work that have been recognised in this prize and our role as such a forward thinking and acting community that is far ahead in terms of species protection, protecting private forest habitat, predator control, and now, importantly, freshwater protection,” she said. Wildside originated 25 years ago when a Banks Peninsula farmer set out to protect the little blue penguins on his farm and has since grown to envelop the whole community in protecting the area’s special environment. 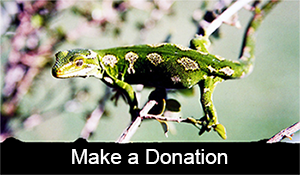 In 2001 the Banks Peninsula Conservation Trust was formed with the legal ability to covenant private land and manage its own conservation projects. In 2010 a coordinator was employed to bring the trust’s many efforts into one cohesive project – and Wildside was born. The project has seen more than 700 predator traps set over 7000 hectares, enabling a dramatic turnaround in sea bird species in the area. It has also achieved protection of a whole stream through private farmland from the summit to the sea. A second stream is now being targeted. Today around 25 per cent of the area has been protected through covenants and reserves, allowing the forest to regenerate. Its Hinewai reserve covering 1570 hectares, is the largest private reserve in New Zealand. The Wildside Project, a grassroots biodiversity project which protects white-flippered little blue penguins, yellow-eyed penguins and titi (sooty shearwater) across 13,500 hectares on Banks Peninsula, has won the Community Award at the New Zealand Biosecurity Awards. 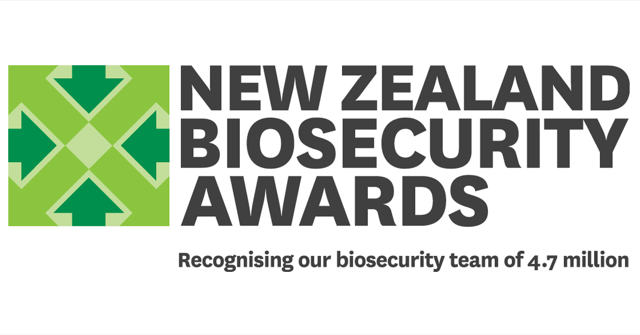 The awards recognise people and organisations making an important contribution to New Zealand’s biosecurity. 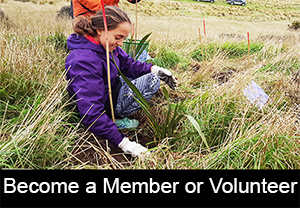 The Wildside Project is coordinated by the Banks Peninsula Conservation Trust in partnership with Environment Canterbury, the Department of Conservation and the Christchurch City Council. It is potentially the longest-running landowner driven predator control project in the country, launched 30 years ago to control stoats, ferrets, possums and wild cats after landowners noticed a decline in penguin numbers. The project’s operation, which includes 750 traps and now also targets goat and feral deer, covers 7000 hectares (of the 13,500ha total area), across 10 bays and more than 25 farms. The area also now has only three of the “dirty dozen” weeds (wilding pines, banana passionfruit and old man’s beard) and in very low numbers. Banks Peninsular Conservation Trust Chairman, Mark Christensen says biosecurity has become an essential and normal part of the community and its activities. “The farmers and landowners did not wait to be told what to do by an external agency, they actively managed the risk and continue to do so. 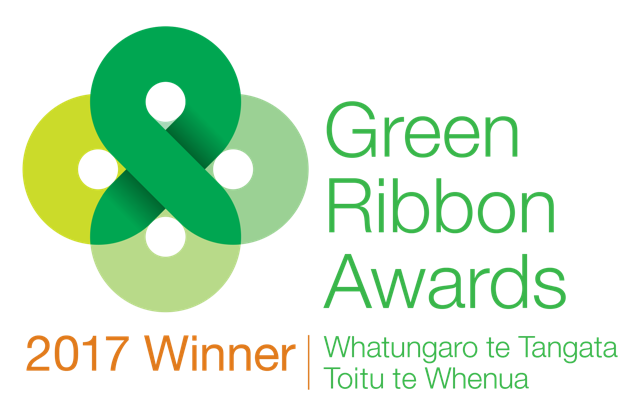 This award recognises many years of quiet hard work and perseverance by a community of farmers who highly value the taonga that is our natural environment and undertake biosecurity for both biodiversity and economic reasons." Mr Christensen says Environment Canterbury is looking at using the Wildside Project as a test case for introducing new biosecurity ideas and control techniques.